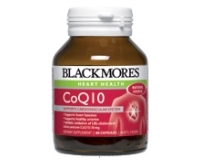 Blackmores CardiWell™ Omega Q10 is a convenient two-in-one formula which help to proactively maintain healthy heart. It contains relevant doses of omega-3s as well as CoQ10 to support healthy functioning of the heart. 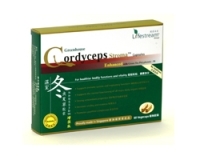 Helps to maintain a healthy heart and cardiovascular system. Healthy heart function is dependent on a number of factors – including antioxidant status and the fat in your blood. This formula contains relevant doses of both omega-3 fatty acids and CoQ10 for a healthy heart. Blackmores CardiWell™ Omega Q10 provides a daily dose of 500 mg of omega-3s and also helps to maintain healthy triglyceride levels. Triglycerides are a type of fat and healthy triglyceride levels in the blood are an important marker of heart health. CoQ10 is a naturally-occurring vitamin-like nutrient found in every cell of the body. It's found in highest concentrations in hard-working organs with the highest levels of oxygen consumption such as the heart. It is an essential component of the energy-producing processes in cells. CoQ10 has been extensively investigated for its benefits to the heart. It is a potent antioxidant and helps protect against free-radical damage therefore helping to maintain healthy arteries. CoQ10 is produced in the body with only a small amount found in the diet. However our ability to produce CoQ10 declines with age. A daily dose of 100mg of CoQ10 supports healthy heart function and helps to maintain the body's levels of CoQ10. This product is suitable for all adults concerned with general heart health and is a convenient way to increase levels of these two important nutrients. Adults - Take 2 capsules a day with breakfast, or as professionally prescribed. Children under 12 years –only as professionally prescribed. If you are already taking heart medication see your doctor before making any changes. May occasionally cause mild gastrointestinal symptoms. Consult your healthcare professional before use if being treated for diabetes. The product may change the glucose-lowering effect of your medication. See warfarin warning for CoQ10 150mg.